Charles Forster Smith had a long and distinguished career as a professor of Greek, and he got his start at Wofford, where he and a new generation of colleagues began to add academic rigor to the college’s curriculum. Smith, who was not related to Professor Whitefoord Smith, was born in 1852 in Abbeville County, SC, and graduated from Wofford in 1872. His address at commencement was entitled “Unity of Culture.” He then went on to do graduate study at Harvard. While there, he met Henry Wadsworth Longfellow in another student’s room, and became convinced that he needed to study abroad. And so, in 1874 and 1875, he ventured to study at the Universities of Berlin and Leipzig in Germany. He was evidently the first Wofford graduate to undertake graduate work in Germany. Smith remained at Wofford until 1879, though the catalogue shows him on leave until 1881. During part of that time, he was studying for his Doctor of Philosophy degree at Leipzig, and after that, he taught for a year at Williams College. Smith, along with Baskervill and James H. Kirkland, went on to teach at Vanderbilt, where all three taught a young Henry Nelson Snyder. Snyder wrote of the influence each of them had on his education and on his career, having studied Latin, Greek, and English with the three German-educated PhD’s. No doubt they encouraged Snyder to come to Wofford, and he was certainly following in their footsteps when he ventured to Germany to work on his PhD after a few years at Wofford. In 1894, The University of Wisconsin came calling, and Smith journeyed north to head the Greek department in Madison. He remained there until 1917, but maintained friendships and connections in South Carolina. It’s one of the great traditions of the college: rubbing the “I” in the mis-spelled word “benificent” (it should have been spelled “beneficent”) for good luck before taking a test. The plaque was a gift of Dr. Herman Baer, but who was this mysterious donor, and what relationship did he have to the college? 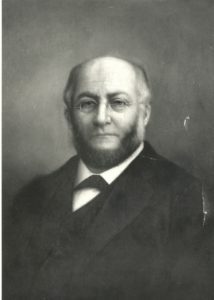 Herman Baer was, according to Dr. D. D. Wallace, a tutor in modern languages and Hebrew and an assistant in the college’s preparatory department from 1853 to 1855. Of course, the college hadn’t opened in 1853, but the trustees, at their November 1853 meeting, elected the college’s first five faculty members as well as some other officials, like Baer. Wallace further explains that the preparatory department didn’t start taking students until January 1855, and the treasurer’s books only show that the college started paying him then. The preparatory department was designed to prepare younger students for admission to the college. The college faculty avoided teaching the preparatory students, except during the lean times of the Civil War, and with a few exceptions later in specific subjects, but the preparatory department was an important source of revenue and future students. Some 34 students enrolled in that department in 1855. Baer only worked at the college for a year, offering elective courses for college students in Hebrew, French, and German, but he left after December 1855. In 1858, Wallace notes, Baer applied to receive the A. B. degree from the college on the grounds that he had privately studied the entire college curriculum. For the only time in the college’s history, that request was granted. Baer’s activities before coming to Wofford and for the thirty years after are absent from college records, but an article in the Southern Christian Advocate published after his death bring some additional information. Baer told his minister that he had left his father’s home in Germany before his 17th birthday and traveled to New York. He celebrated his 17th birthday at sea. In January 1847, after arriving in New York, he made his way to Charleston, where he soon found himself in the city’s Methodist circles. He noted attending a camp meeting out of curiosity, and afterwards, a Methodist minister introduced him to Rev. David Derrick, who was in charge of the German mission in Charleston. Rev. Derrick had no children, so he and his wife took Baer into their home. They introduced him to some of the Methodists who were involved with the Southern Christian Advocate, including one named Benjamin Jenkins, who Baer tutored in German, French, and Hebrew, helping Jenkins prepare to be the first Southern Methodist missionary to China. Jenkins in turn helped Baer with his English. In 1848, in his second year in Charleston, Baer converted from Judaism to Christianity, joining Charleston’s Trinity Church. Baer served as a private teacher for a few years, but his early association with Rev. William Wightman at the Advocate bore fruit in 1853, when no doubt thanks to Wightman’s invitation, Baer was invited to come work at Wofford. After his time at Wofford, he served again as a private tutor, mostly in Marlboro County, and then in 1859, he entered the Medical College in Charleston. Medical education in that era usually involved working with a practicing physician for several years. In 1861 he graduated and worked for four years as a Confederate Army doctor. He wound up working in business in Charleston after the war ended, and it appears that he largely served as a wholesale pharmacist. It does not appear that he practiced medicine after the Civil War. One advertisement in the Advocate in 1888 touted one of his medicinal cures – Thompson’s Bromine-Arsenic spring water. He remained active in Trinity Church, and three times – in 1878, 1886, and 1894, he was elected as a lay delegate to General Conference. 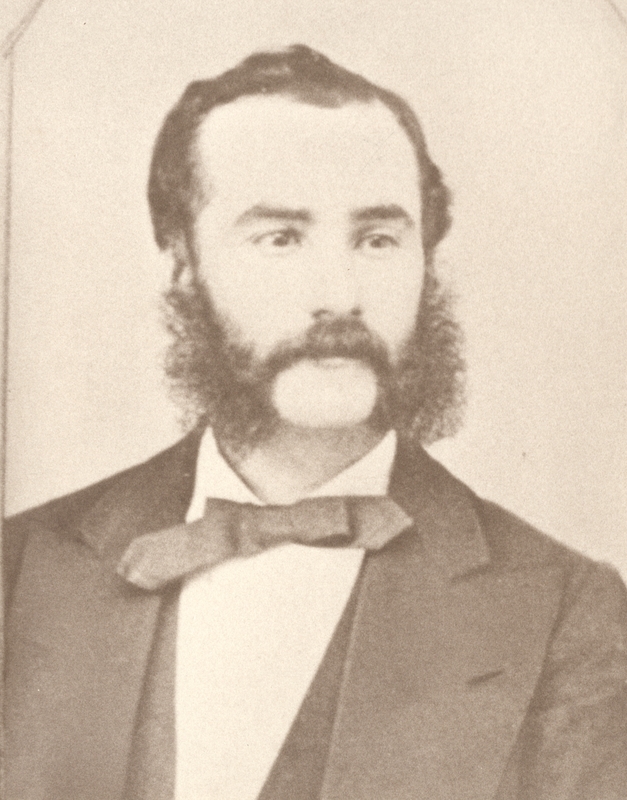 In 1892, the Annual Conference elected him to serve as a Wofford trustee. He had already made some small financial gifts to the college in the 1880s, particularly when the college alumni were trying to bring more support to the college. In 1900, he decided that the college needed to do more to honor Benjamin Wofford, and he had a plaque commissioned to honor the founder. Baer wrote the text himself, but was quite vexed to discover on Commencement Day in 1900, when it was installed, that his last line “To Perpetuate this Beneficent Record” had an engraver’s error in it. Baer supposedly slammed his cane on the floor with great vigor and stalked away, but refused to have it re-cast as a warning to students about the dangers of sloppy work. Commencement 1900 would be Baer’s last commencement, for the next January, he died in Charleston just before his 71st birthday. He left a small collection of books to the college as well as a legacy that lives on in his plaque. My dear friends, July 28 was a wonderful day for me. It marked the 30th anniversary of my arrival in Brazil. That night I gave a dinner for the members of the faculty, members of the board of trustees, our pastor and his wife, the doctors whom we call, and the school inspector. July is the month of winter school holidays in Brazil. Some of the teachers were at home but most of them were in the city. Brazil is indeed a country of surprises! One of the greatest was an invitation to have lunch at the Rotary Club on August 1. When I arrived, I found that it was a special luncheon in honor of my thirty years in Brazil, and during that time, with the exception of six months near Rio, in Santa Maria. Once a month our pastor leads chapel at the school. Last Thursday was the first assembly since the holidays and he was present. Before he began his talk he said that one of the teachers had a story to tell. At the beginning I did not recognize the person about whom she was talking. When Dona Maria finished, I arose and thanked her for her kind words and assured them of my joy in being here. Imagine my surprise when girls from the primary and high school as well as one of the teachers made speeches and gave lovely flowers. All those demonstrations of love and appreciation make me humbly grateful for these years of service in Brazil and especially at Colegio Centenario. We are all rejoicing over the money for our primary building. We plan to break ground on September 7. I shall write you again after the ceremony. In July I attended Central Council in São Paulo. Another good trip by air. It takes four hours by plane and four days by train. The annual meeting of the laymen of the South Brazil Conference was held in Santa Maria in July. The delegates were entertained at the Methodist Home but the college offered a special dinner in their honor. There were 50 present. Also in July we had the privilege of entertaining the district meeting of young people and juveniles. it was a very good conference. August is brotherhood month among the Protestant youth of this conference. In Santa Maria each Saturday evening they have had a special meeting at the different churches in the city; on Sunday afternoons open air meetings. Last night the final service was held in the Lutheran Church. The Episcopal Bishop delivered a masterful sermon which was put on the air by our local station. It does one’s heart good to see the enthusiasm of these young people. After the celebration of patriotic week I shall write you again. Thanks for all you have done for us during these years and what do you mean to me today. Love, Louise Best. If there’s a place in South Carolina that might be able to lay claim to being a real Methodist town, it might be in Greenwood County. The village of Cokesbury was named, as every loyal reader of the Advocate will recognize, for the first two bishops in American Methodism, Thomas Coke and Francis Asbury. Originally settled around a Methodist church called Tabernacle, the residents of the area began to support a school before 1820. 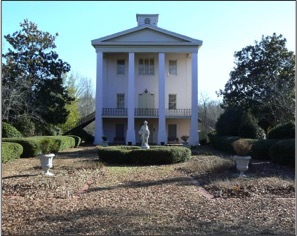 When the Methodist Mount Bethel Academy, in Newberry County, closed in 1820, the teachers at the Tabernacle school encouraged the South Carolina Conference to become patrons of their school. The town founders moved their village to higher ground, on a ridge between the Savannah and Saluda rivers, and built a planned community around the school. They first named the village Mt. Ariel, and during the 1820s, built school buildings for males and females, and in the 1830s, a new church building in the village. With the Methodists taking over the male academy to become the Dougherty Manual Labor School, the church’s presence in the community grew. That name was short-lived, for it was future Bishop William Wightman who suggested naming the school Cokesbury. At the same time, the town changed its name to Cokesbury in March 1835. In 1834, the Methodists moved the district parsonage to Mt. Ariel, and thus the tradition of the Cokesbury District began. A church and cemetery remained at Tabernacle until after the Civil War. In the days before a strong system of free public schools, the school had its fair share of influential students. Trying to grow in social status, the school abandoned its manual labor orientation – where students studied in the morning and worked on the farm in the afternoon – by 1842. The school became the Cokesbury Conference Institute. The female school came under the patronage of the local Masonic order, and in 1854, they built a three-story building, the top floor reserved for the Masons, the lower floor for classrooms, and the middle floor for a chapel. That is the building that survives today, it became the Conference School by 1874, but the school closed by 1918, becoming instead a public school. Still, a number of leaders in the Conference, in state politics, and in other states spent time at the Cokesbury School. Like many Upcountry towns, the residents of Cokesbury valued their idyllic, peaceful village and objected to the railroad coming to their community. That proved problematic to the community’s growth after the Civil War. Growth shifted away from Cokesbury and toward Greenwood, which had become a railroad village. When Greenwood County was created in 1897, with the city of Greenwood as its seat, Cokesbury’s influence continued to decline. Greenwood’s leaders encouraged the Rev. Samuel Lander to move his college from Williamston to their city, and it opened there in 1903 as Lander College, where it retained its Methodist relationship until the 1940s. But we’ll come back to the rest of the story in future months. Of the generation of faculty that taught at Wofford in the first half of the 20th century, Dr. William Leonard Pugh seems less well-remembered than some of his colleagues. Perhaps his quieter demeanor kept him in the shadows of other faculty, for unlike most of the others of his era, he didn’t have a nickname. He shared the English department in this era with the college’s president. Henry Nelson Snyder, so that may also account for his lower profile. William Leonard Pugh was born in 1874 near Lenox, Iowa. He graduated from Parsons College, a Presbyterian-related college in Iowa, in 1897. He later earned an MA at Parsons in Latin and Greek, and taught those subjects at the preparatory school he had attended before college. He was a high school principal and later superintendent of schools in Corydon, Iowa from 1902 to 1907. Later, he continued his education at Northwestern, where he earned another MA in 1908, this one in English, and at Harvard, where he completed his PhD in English in 1911. He joined the Wofford faculty in the fall of 1911, becoming one of a quartet of doctoral-degree holding professors. Drs. Wallace, Waller, and Chiles were the other early PhD-holders in the 20th century. 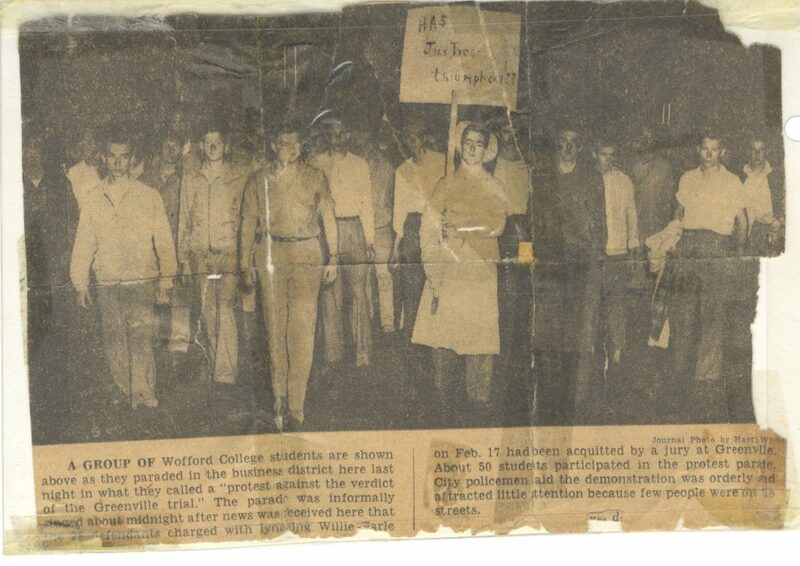 In 1954, Dr. Pugh recalled how he came to Wofford and Spartanburg, places he’d never heard of before a telegram arrived from one of his doctoral advisers telling him to go South. The professor made favorable remarks about President Snyder, that he was a fine English scholar and that it would be good for the Midwesterner to learn something about the South. So, with only a few weeks before the start of school, in August 1911, Pugh and his wife packed their suitcases and traveled on the train to South Carolina, expecting to stay just one year before going elsewhere. But, once Dr. Snyder met the Pughs at the train station and showed them such warm hospitality, the Pughs later recalled that they fell in love with the campus. They also enjoyed the warm winters on top of the warm hospitality. Pugh did later report that once the students arrived that fall, he had to learn a separate set of names, as he started hearing the student nicknames for professors. Interestingly, and perhaps a little unusually for early 20th century Spartanburg, Dr. Pugh’s wife was also Dr. Pugh – but in her case, she was a physician. Dr. Ruth Frank Pugh served for a number of years as the college physician at Converse College, and had been a Presbyterian medical missionary in India. Dr. Pugh became active in Spartanburg’s First Presbyterian Church, showing that not all members of the faculty had to be Methodists. He was a Sunday school teacher in the church for many years, and a ruling elder of the church from 1919 until his death in 1957. Students remembered that Dr. Pugh talked like he had a mouthful of marbles. He hammered his points across in lectures until students got them. He was known for his lectures, parallel reading, and homework. One student remembered writing mounds of themes for Dr. Pugh. Students also knew him for riding a bicycle to campus and around town, very stiffly, they recalled. Later, he had a Saxon roadster automobile – one of the many different types of automobiles in those early days of car manufacturing. He was regarded as a reserved, dignified, and somewhat aloof professor. He retired with a large group of longtime professors in 1947, when the college instituted an age limit for serving as a professor. He remained in Spartanburg for just over ten more years, dying in August 1957 in the town he’d arrived in 46 years before, intending only to stay one year. I wrote a piece on Prof. W. Raymond Bourne, class of 1923, recently, and since we have a literary society exhibit up right now, and I’m trying to feature some stories about that right now, I’m going to include a piece Professor Bourne wrote about the literary societies in the 1954 Wofford centennial edition of the Herald-Journal. “When I first knew the college, in the fall of 1920 the societies met every Friday evening right after supper. Normally there would be the role call, discussion of business, and an oration or two, debate, and sometimes the reading of original compositions of varying kinds. Judges were named for each debate and a decision was rendered. At the end of the program, the critics offered comment on the quality of each performance. “Sometimes a member assigned to speak by the program committee would be absent. If he had no acceptable excuse, he was fined it for non-performance of duty. In his absence, volunteers were called for, and if there were no volunteers, the president appointed someone to take his place. So those who value the opportunity got to speak to their hearts content. But the mood of 30 years earlier, when the meetings had lasted sometimes into the morning, it was gone, and the meetings were generally over by 9 PM. “At this time, the societies controlled the three campus publications. Also the societies gate a few public performances in the chapel, notably the sophomore oration, and the general oration on February 22. “As late as the early 20s, white tie and tails were required for formal public appearance in one of the contests. And while an occasional boy with only one pair of shoes to his name might appear in brown footwear, lapses of this kind were infrequent. The audience appeared in whole suits, with collar and tie. “Today the publications board has to go down to the sophomore class to find editors, even for salaries. The Glee Club gives almost the only student public performances in the chapel, and it is entirely controlled by a faculty member, Professor Sam Moyer. 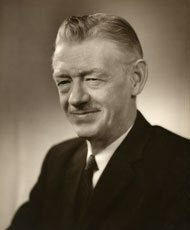 For the middle years of the 20th century, Professor William Raymond Bourne was a large chunk of the college’s Modern Languages department. Born in Virginia, Professor Bourne graduated from Wofford in 1923. He was part of a generation of faculty that spanned World War II, serving from 1925, when he returned to his alma mater to teach French and German after two years of teaching at Davenport College in North Carolina, until 1966, when he retired. (Davenport College, originally Davenport Female College, was a Methodist college that opened not long after Wofford and was related to the South Carolina Methodist Conference.) Along the way, Professor Bourne earned his MA at the University of North Carolina. As a long-time member of the campus community, Professor Bourne seemed to write a good bit about campus history and traditions. As a young professor in the 1920s, he was able to work with much older professors like J. A. Gamewell and Daniel A. DuPre (who had taught with the first generation of faculty) and professors at mid-career such as D. D. Wallace, James A. Chiles, A. M. Trawick, and Coleman Waller. And then, after World War II, he would have been one of the long-timers as a younger generation of World War II veterans, like Lewis Jones, William Cavin, Ray Leonard, and Donald Dobbs. He wrote a number of articles in the alumni magazine, in the student paper, and in the Wofford centennial issue of the Herald-Journal about various points in Wofford history, about his senior colleagues, and even about the college’s literary societies. (I’ll share that later, since we have an exhibit on the societies underway this spring). Professor Bourne also holds the distinction of being Wofford’s first Dean of Students – an office that was created after World War II. Before World War II, “The Dean,” Mason DuPre, generally served as the arbiter of student conduct as well as the second in command to the president. With a growing student body, the college split the office. One student wrote of his experience with Professor Bourne that he, like many first-years, was advised not to take him, that he was “a real so’n’so, works you like a horse, just ask those guys in his class.” And the article further describes Bourne’s classroom mannerism of marking attendance and grading student translation work at the blackboard with a two-inch pencil. Bourne was one of two faculty members to hold the nickname “Peg.” The other, Prof. E. H. Shuler, got the nickname because he taught applied math, and frequently left surveying pegs all over campus. Bourne’s was because he had a wooden leg. 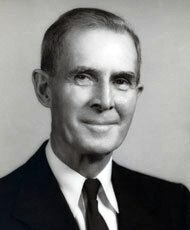 He retired with a large class in 1966 – alongside C. C. Norton, Charles Nesbitt, and R. A. Patterson – that had a total of 150 years of service to the college. He remained in Spartanburg, dying in January 1975. 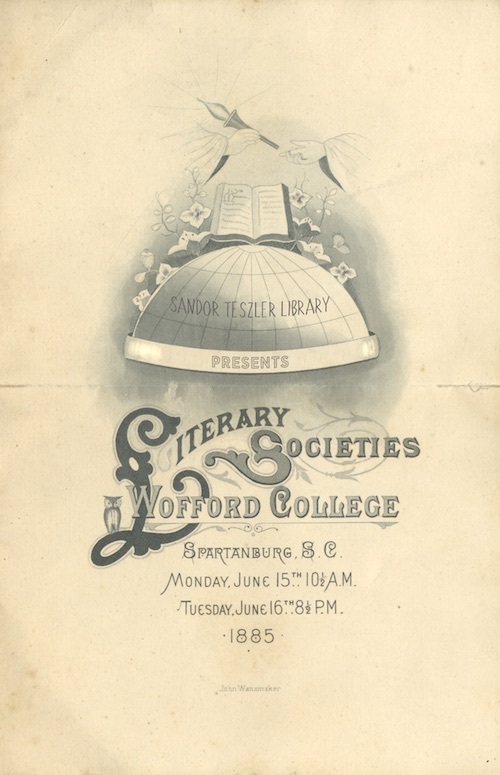 This spring, the library’s archives and special collections are presenting an exhibit on the history of Wofford’s literary societies. Within two months after Wofford opened in August 1854, eight students gathered to form a literary society, a group that would help them practice their oratorical and debating skills. They chose the name Calhoun Literary Society as a way of honoring South Carolina’s recently deceased Senator John C. Calhoun. They developed a constitution and bylaws and began holding weekly meetings. Four years later, a second society, the Preston Literary Society, formed to meet the needs of a growing student body. A number of Calhoun Society members joined to help form the second society. Much of the college’s co-curricular life revolved around the societies. By the 1870s, the faculty thought they were so important that they required students to join one of them. The societies helped start three student publications between 1889 and 1915 and helped select the leadership for each staff. They began collecting libraries for their members, and by 1894, they handed their libraries over to the college. Many of their books are still part of the college library collection today. (While most are in special collections, we’re finding a few that are actually in our circulating collection!) They also commissioned portraits of notable individuals related to the societies or the college. Many of those portraits are now part of the permanent art collection. Eventually, student body growth saw a third society, the Carlisle, formed in 1905, and a fourth, the Snyder, in 1920. The heyday of the societies, however, was in the past, and gradually, students began to lose interest in their activities. By 1935, the college had made membership mandatory only for freshmen, and soon after, dropped even that rule. A series of mergers led, by 1951, to the existence of only one society, and even it ceased its activities by 1952. The exhibit will be up in the Sandor Teszler Library gallery through the end of the spring semester, and I’ll be giving a gallery talk on March 22 at 4:00. And I’ll also be adding some more information about specific topics related to the societies in the next few weeks on the blog.